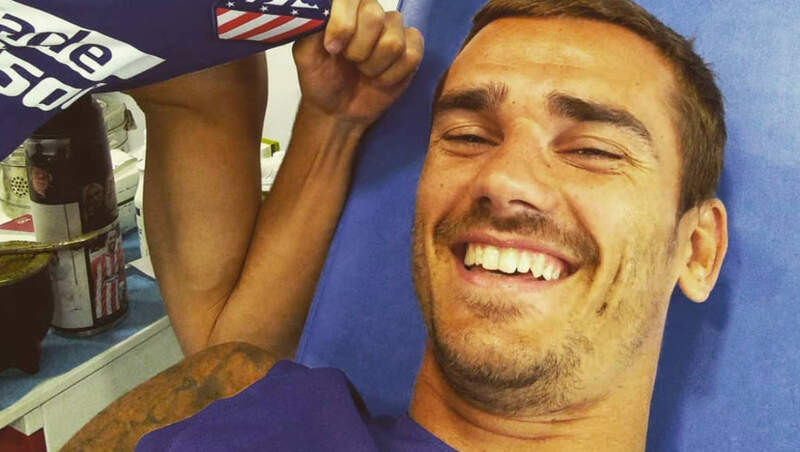 FC Barcelona aren’t interested in signing reported Manchester United target Antoine Griezmann in the summer, according to a report in England. The Daily Mirror is reporting that the Spanish champions have decided against a summer move to sign the France international from their title rivals. The same article states that FC Barcelona believe that Luka Jovic would be a better option to improve their attack rather than the Atletico Madrid forward. According to the same story, Manchester United and Paris Saint-Germain will be left to battle it out for Griezmann as the Spanish side pursue Jovic. Manchester United came close to signing Griezmann in the 2017 summer transfer window but a deal failed to materialise for the France forward. Griezmann ultimately decided to commit his long-term future at Atletico Madrid, despite being linked with a move to FC Barcelona as well. The 28-year-old may well have grown disillusioned with life at los Rojiblancos following their Champions League exit at the hands of Juventus this month. Manchester United are bound to be linked with a host of different players in the summer transfer window as executive vice-chairman Ed Woodward looks to overhaul their squad. The Red Devils are embroiled in a battle to secure a top-four finish with Arsenal and Chelsea FC after a slow start to the Premier League season.